Up to 90% off previous seasons PLUS exclusive samples and archive styles. 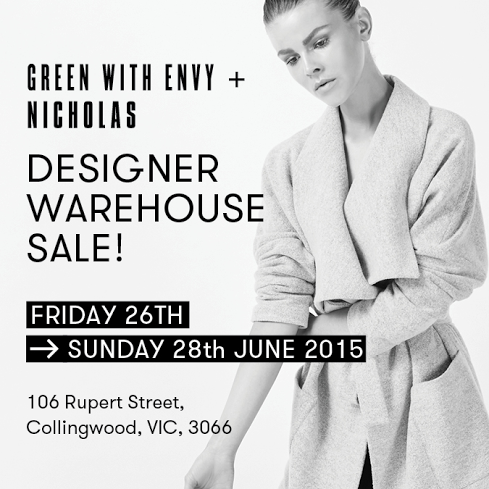 Designer Sale of the Year! 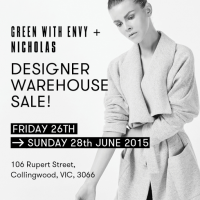 The GREEN WITH ENVY and NICHOLAS warehouse sample sale. Previous season apparel, shoes and accessories from your favourite Australian and international designers slashed by up to 90% off! 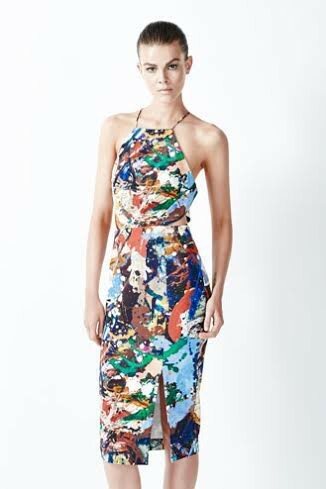 Acne, Alexander Wang, Peter Pilotto, Carven, Chloe, Dion Lee, Ellery, Kenzo and more!